AVADirect's Core i7 SLI/CrossFireX DDR3 Gaming System fails in the naming department, but I'll assume that the company's PC builders were too busy squeezing every last drop of performance out of this impressive machine to come up with a clever label. 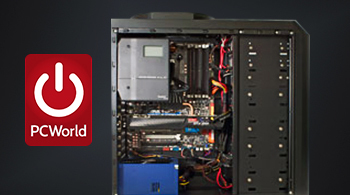 AVADirect's system isn't the fastest gaming PC we've tested, but it sure comes close. Factor in its $1840 price tag (as of 5/4/09)--nearly half the cost of the most inexpensive computers on our Top 5 Gaming PCs list--and it's hard to resist this system's allure.